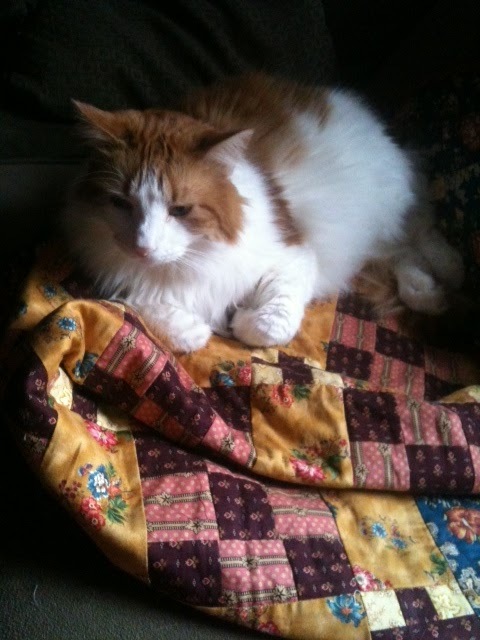 Lebron, it's not a cat quilt!!! I finished my "first" quilt last night! I have been working on the binding for the last week or so and now it is officially done. 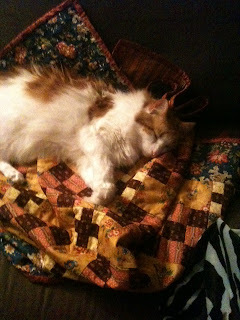 Within minutes of me putting the quilt on the couch Lebron decided that the quilt was his and immediately fell asleep. I really wanted a photo of the finished quilt to show all of you, but I didn't want to wake him.